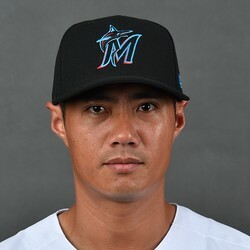 Marlins pitcher Wei-Yin Chen allowed 10 earned runs on seven hits and two walks while striking out three over two innings of relief in Tuesday's loss to the Reds. Tuesday was about as bad of an outing as it could have possibly been for Chen, who does not seem to be anywhere near regaining a spot in the Miami rotation. He currently sports a 24.75 ERA and does not figure to see any starts or late-inning relief appearances anytime soon.